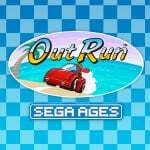 Out Run was confirmed as the next game in the Sega AGES line last week and already it's been revealed it will arrive on the Japanese eShop later this week. Sega announced the 29th November release date via its official Twitter account. The price of the game aligns with existing releases and will set players back 925 yen (approx. £6.30 / $8.30). Unfortunately, nothing has changed locally - with the game still expected to be released early next year. What makes this just a tiny bit more frustrating is how we're still waiting on Phantasy Star - which suffered multiple delays - and won't even be available here until 13th December. Of course, if you know how, you can always consider picking up Out Run when it arrives on the Japanese eShop. As it's a racing game, there aren't any serious language barriers to deal with. Do you think you can hold out until next year, or do you intend to get behind the wheel as soon as you possible? Tell us below. Really excited for this but I can wait until Q1 next year, as my Switch backlog has become quite real! I got more than enough Switch games to hold me to then including Horizon Chase coming this week.I’m good. Just watched someone clear it in like 5 min on Youtube, as much as it's super nostalgic for me that might be a bit short for a purchase. @kepsux Well that must be on some super easy mode. There is absolutely no way you can finish this in five minutes if at all on proper arcade settings. Is this based on the Japanese tracks or the international tracks? @Gs69 I created one for my Switch, it went pretty easily. @kepsux I think what @YANDMAN means is that it's hightly unlikely that someone would be able to pick up the game cold (or even after your first few playthroughs) and be able to make it to any one of the five goals (for five different endings) in five minutes. SEGA arcade games are never that easy (except for Dream Raiders, which wasn't done by their usual arcade teams). The person who uploaded this video is likely proud they were able to reach the goal with just over 30 seconds left on the clock, I know I'd be. But there's still room for improvement, at least another 8-10 seconds. If they'd tighten up their driving line, memorize the traffic more, stop slowing down unnecessarily, then it's possible to score higher. If you're looking to improve your game beyond just reaching any goal just once, then it'll probably be well worth the money spent. @Danjel @Gs69 I have a Japanese account, it is as simple as setting up an account then creating a my nintendo account, set to Japan as region and link the two. You will have to get money from Japanese eshop cards however, or buy digital codes off Amazon JP / Playasia etc. It would be awesome if you could just click on which regions eshop you wanted to browse and buy games using your already available funds and the conversions were done rather than this unnecessarily complex way of buying games or demos off foreign eshops. Came out on the 3DS ages ago. I'll just wait for Phantasy Star 1. Used to be buying import games weeks after release for sometimes more than twice the price. Then eshop 3DS games we simply couldn't get. I think we got it pretty easy on Switch ! I really don't get this, what is there to translate? they already released it on the 3DS in all regions and it's a racing game so there isn't much work here..
plus it's a download release, it should be able to release worldwide. Lest anyone has forgotten the Japanese phantasy star ages has English as an available language from the get go so why is it taking so long for a western release? @Gs69 I found Playasia is good with doing decent japanese eshop cards that arent too price hiked like ebay usually offers. I've gotten a few digital eshop funds from them for Taiko no Tatsujin's dlc. @ClassSonicSatAm Translating from ARM (3DS) to AMD Tegra (Switch) processor calls and have the game timing still sync up so everything plays exactly as it should? And stripping out all the stereoscopic 3D code. That's my guess. Or maybe they built it up from scratch again? As for the regional delay, who knows? Can't wait. Gimme gimme gimme! Any differences to the 3DS version? I can and on max traffic. I’m not often great at games so gotta take credit when possible. Seeing that I just got my Switch under a week ago and is juggling Dark Souls Remastered, Mario Kart 8 Deluxe, L.A. Noire, and Smash Ultimate next Friday, I’m not upset in the slightest lol. I will be getting this game no doubt, especially for the price! @Fandabidozi Well then you are a legend. 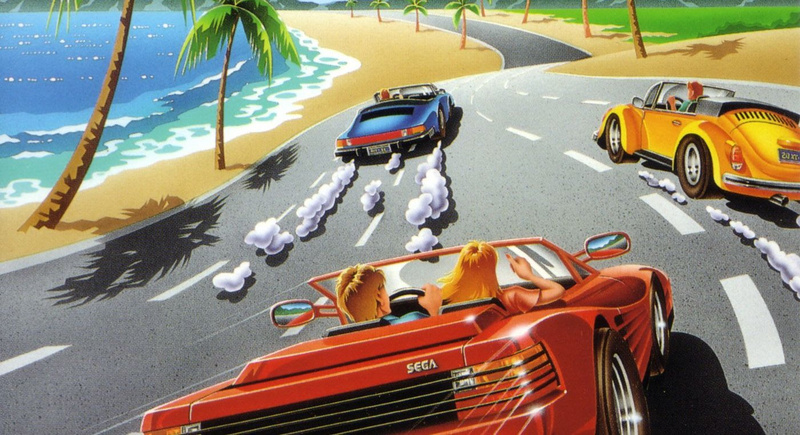 I've got an Outrun cabinet and i know a few friends that do to. None of us despite years of playing can just breeze straight through it at any time. it is a difficult game. @Gs69 the same as creating any other, but you cannot buy games unless you have a japanese credit card or buy japanese eshop cards. @masterLEON But I'm pretty sure they have the new source code of the 3DS version, shouldn't really take that long just to remove a feature when the game itself is more or less already made. @ClassSonicSatAm I can picture some higher-up exec rolled some dice and said, "OK, we're gonna wait this many weeks until we release it in the west"